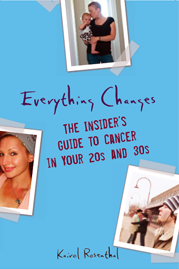 Everything Changes – The Guide to Young Adult Cancer » Understanding Insurance Changes: Does the Government Now Provide Your Care? Understanding Insurance Changes: Does the Government Now Provide Your Care? 1. What’s the difference between government provided care vs government regulated insurance companies? In my last post, a survivor named Amy commented on her concerns with government run health care. Her comment made me realize just how confusing the difference is between government run health care vs. government regulated health insurance. * Government Regulated Insurance: The new reforms that were put into place on Sept 23 help regulate private health insurance companies. They are laws that regulate private insurance agencies so that consumers (patients) get more protection from private insurance companies. There are a lot more of these changes coming between now and 2014, including the ever anticipated elimination of pre-existing conditions. So no, the new changes I wrote about last week do not mean the government provides your cancer care, but they are starting to regulate private health insurance companies, a change which is long overdue. * Government Run Health Care: You are only getting government run health care in the United States if you are: Receiving care at a public hospital (such as a county hospital) or public health clinic, going to Indian Health Services, in the VA or military system. And if you are on Medicare or Medicaid, it is not government run care but government run insurance. The government is now regulating health insurance companies, the same way that the FAA (Federal Aviation Administration) makes sure planes are safe and don’t blow up. The same way that OSHA (Occupational Safety and Health Administration) makes sure that employees have properly ventilated workplaces. The FDA (Food and Drug Administration) has regulations protecting the public to make sure baby food doesn’t contain shards of glass or cockroaches. When you’re pushing a cart down the aisle at Safeway or Wal-Mart you are shopping at a private store and buying Gerber strained peaches, which are made by a private company. However, you’re buying a product you know is safe because Gerber had to comply with government regulations to make sure their baby food isn’t contaminated with glass or roaches. Let’s say now you’re a cancer patient going to MD Anderson and have Aetna HMO insurance. With the new government health insurance regulations, MD Anderson is still a private hospital and is not a government run hospital – just like Wal-Mart is a private store. Aetna is still a private insurance company – just like Gerber baby food is a private company. But Aetna’s products, such as your HMO coverage, are government regulated to make sure you the consumer are protected and they cannot drop you because you have cancer. This just like the strained peaches that are regulated by the FDA so they don’t have glass or roaches in them. So no – we have not become Canada; our health care system is still privately owned and run. Consumer safety regulations cost companies more money. Sure Gerber would make a higher profit if they didn’t have to hire safety inspectors, or if they could store their peaches on the floor in open bags instead of off the floor in approved containers. But then the public would have glass and roaches in our infants’ peaches and peas. Up until the new healthcare reform act, insurance companies could do whatever they wanted to drop patients and dismiss claims so they could make gargantuan profits. The new regulations will cut into their profits. However, when you look at the amount of money insurance companies make, they certainly can afford to make a little less and still be profitable companies. Maybe their CEO’s will have one jet plane instead of five. Maybe their CEOs will get 20 million dollars in bonuses instead of 65 million dollars in bonuses. But the American public will be safer and have their health better protected. I don’t think that all industries need to be regulated by the government. But I do think industries that impact the health and safety of American citizens should be regulated. I’m glad that Obama and the Democrats have made sure health insurance is one more industry that is regulated to protect us. Making sure my friends and I don’t die from cancer is a pretty big deal and one that I’m glad my government now cares about. If you care too, please vote for your democratic candidates on November 2, 2010. Because remember, every single Republican in Congress voted against these reforms. Learn who your candidates are here. Enter your zip code to find local candidates. Vote for them and volunteer for their campaigns. Your explanation was good. Thank you for having a link with information about the insurance companies, I believe you have the right idea. I am writing a research paper and I needed that wake up on government authorities and private businesses.